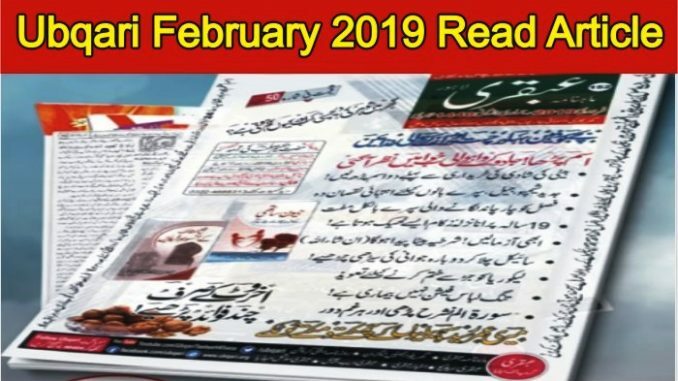 Article published in Ubqari Magzine February 2019 edition are as below. It also contains many effective health care as well as spiritual health tips. For user who want to read waziaf , spiritual treatment and health care through Islamic ways of treatment can also read following Rohani Magazine where they can find the solution of their problem through quranic wazaif.